The Tri-State Building and Construction Trades Council fights to bring middle-class jobs back to Appalachian communities across Ohio, Kentucky, and West Virginia through construction projects and infrastructure investment. There’s a lot to be hopeful for in Portsmouth, Ohio, the county seat of Scioto County, and surrounding towns. After three years of construction, the union-built, $634 million Southern Ohio Veterans Memorial Highway opened to traffic last December. In November, the Tri-State Building Trades secured a project labor agreement for the decontamination and decommissioning of the U.S. Department of Energy’s Portsmouth Gaseous Diffusion Plant in nearby Piketon. The town’s $24 million high school has a $12 million, state-of-the-art football stadium – one of the best in Ohio – both built under project labor agreements by the skilled tradespeople who make up the Tri-State Building Trades workforce. 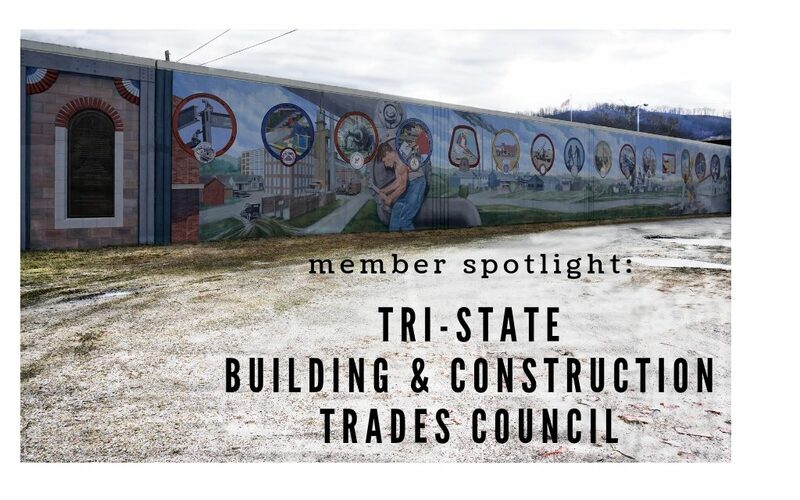 Mark Johnson, Business Manager for the Tri-State BCTC, goes to work every day to bring projects like these to the Building Trades workers he represents in 33 counties in Ohio, Kentucky, and West Virginia. “We’ve worked eight years to get to this point,” said Johnson on the day the DOE Diffusion Plant’s community benefit agreement was signed. The agreement secures over $1.5 billion in work over 20-plus years, providing 250 to 300 Building Trades workers, on average, steady work on an annual basis. The bulk of the work will be handled by Tri-State laborers, operating engineers, teamsters, electricians, pipefitters and carpenters. The agreement is personally significant for Johnson, whose father was the third man on the job in 1950 when the plant was constructed and whose brother retired from the plant. Tri-State Building Trades members live and work in communities hit hardest by the off-shoring of America’s middle-class manufacturing jobs. During a recent tour of his jurisdiction, Johnson lamented the closing of AK Steele’s Ashland plant. “It’s a shame to lose 7,000 jobs and replace it with a Walmart,” said Johnson, referring to the Portsmouth/New Boston steel plant, which was closed down and replaced by a lower-wage retail plaza. Tri-State is also ground-zero for the nation’s opioid epidemic.Dreamland, the New York Times bestselling book about how the opioid epidemic began and spread across America, takes place in Portsmouth. Ohio, West Virginia, and Kentucky are among the top five states in the nation hit hardest by the opioid addiction. In response, people in Tri-State communities have pulled together to lift one another up. “So many of the good things coming to town, they’re happening on a volunteer basis,” said Johnson. The communities’ good works are all around. Some go almost unnoticed – like the owner of the popular Scioto Ribber Steakhouse giving local teenagers meals after school. Some good works are grand, meant to lift the community’s spirits – like the new lighted arches coming to Portsmouth’s historic downtown district, which the Building Trades are volunteering their labor to erect. Giving back is in the DNA of Appalachia’s union construction workers. That, and the unbeatable quality of their work, forges strong community bonds. The Southern Ohio Medical Center relies on the Tri-State Building Trades workers for their facility construction. “They’re good partners who hire us because they like us and they want us,” said Johnson during a recent visit to SOMC’s community wellness center in Portsmouth. Nowhere is the quality work of Tri-State’s Building Trades members more visible than the new Southern Ohio Veterans Memorial Highway. The highway is a feat of engineering and construction, carved through Appalachia’s formidable peaks and valleys. 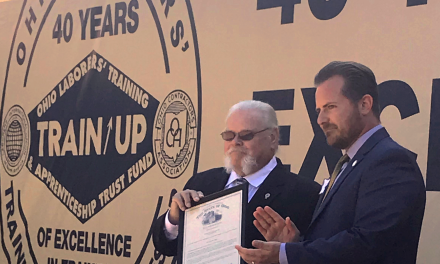 Not only are Tri-State construction unions setting the standard in infrastructure and industrial development, they are pioneers in providing drug-free workforce certifications and safety training. Tri-State’s LEAD program removes the testing burden from contractors, certifying that workers hired from 28 local unions are drug-free and trained to maintain the highest safety standards. Last year, under the leadership of Tri-State’s Tina Compliment, the LEAD program carried out 9,800 drug tests. Each worker carries a LEAD license to job sites, providing contractors complete peace-of-mind when hiring for construction projects. 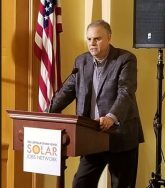 Johnson is currently working with local union business managers in support of American Electric Power’s proposed Highland Solar Project. To stay informed about developments in the Tri-State area, follow the Tri-State Building Trades on Facebook or contact Mark Johnson at mjohnson@tri-statebuildingtrades.com.